IDF Chief of Staff Gadi Eizenkot responds to appeal from former IDF soldier convicted of manslaughter, cuts 4 months from 18-month sentence. IDF Chief of Staff Gadi Eizenkot responded Wednesday to an appeal by former IDF sergeant Elor Azariya for a reduction to his 18-month jail sentence. 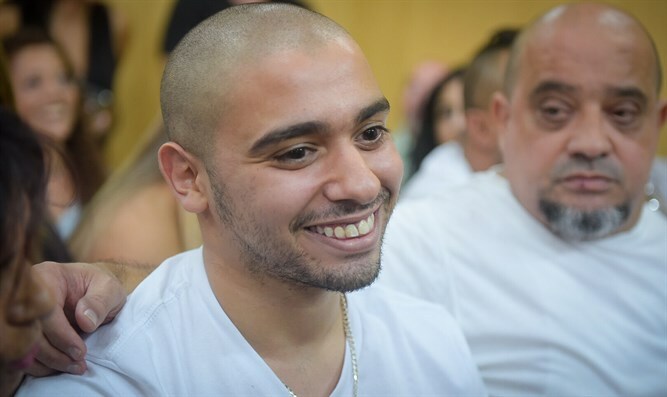 Azariya was convicted of manslaughter in January for the shooting death of a wounded Arab terrorist minutes after an attack in Hevron that left one soldier wounded. In February, an IDF court sentenced Azariya to 18 months in prison. On Wednesday, it was announced that the IDF would cut Azariya’s prison term from 18 to 14 months. The response from Eizenkot’s office called Azariya’s behavior during the shooting incident “unacceptable”, and highlighted the fact that the former soldier had not expressed remorse for his actions. Despite that, the letter from the Chief of Staff’s office informed Azariya that the army would trim his sentence by four months. Azariya began serving his sentence in August, days after his legal defense team sent a letter to Eizenkot requesting leniency. The defense team, led by attorney Yoram Sheftel, had appealed the IDF court’s conviction and sentence to an army appeals court. In July, the appeals court upheld the conviction and sentence. The appeals court also rejected an appeal by prosecutors seeking an extended sentence.